Hosting a banquet requires a huge amount of planning and preparation. The food also has to be cooked to perfection so that your guests will be discussing the high standard of the food they enjoyed as much as the event itself. 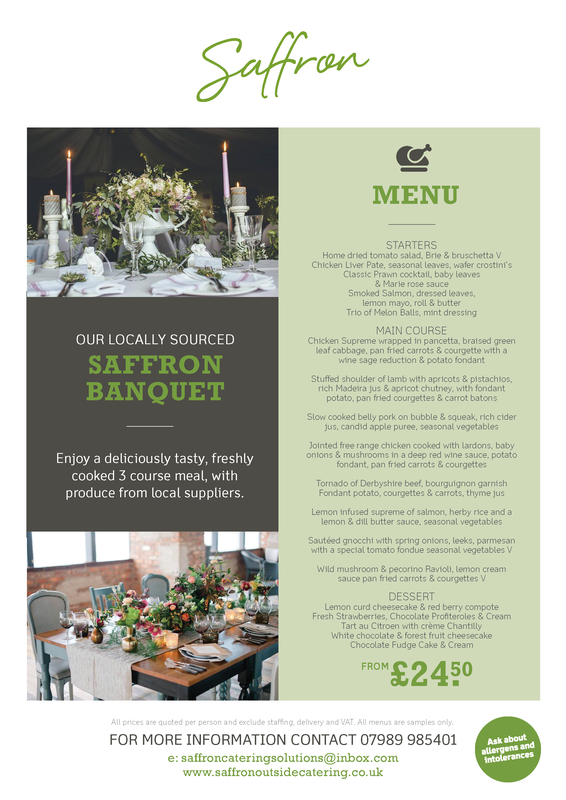 Our banquet menus are great for any size of event and our dedicated team are only too happy to help with your banquet planning including the types of dishes and catering for special diets within each menu. Our team has many years of experience catering for events of all sizes, so you can feel confident the catering will be of a high standard and prepared by our own expert chefs.